Dress your windows with a Native American look by adding the Ruby Red Drapes topped off with a Luminaria Rod Pocket Valance. 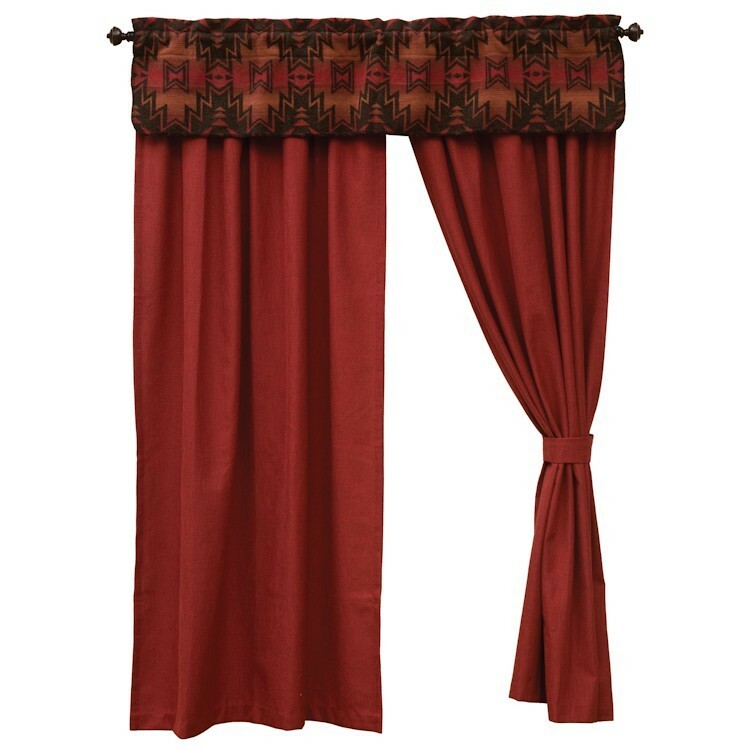 The pair of solid color drapes are made of a smooth texture in ruby red with a rod pocket top. These draperies are a beautiful addition to any room in your home. The Luminaria Rod Pocket Valance is a festive washable wool blend that uses contrasting sunset colors for a bold impact; and is accented with a decorative button hole stitch edging. Dress your windows with a Native American look by adding the Ruby Red Drapes topped off with a Luminaria Rod Pocket Valance. 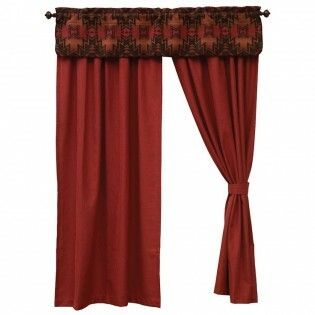 The pair of solid color drapes are made of a smooth texture in ruby red with a rod pocket top. These draperies are a beautiful addition to any room in your home. The Luminaria Rod Pocket Valance is a festive washable wool blend that uses contrasting sunset colors for a bold impact; and is accented with a decorative button hole stitch edging.